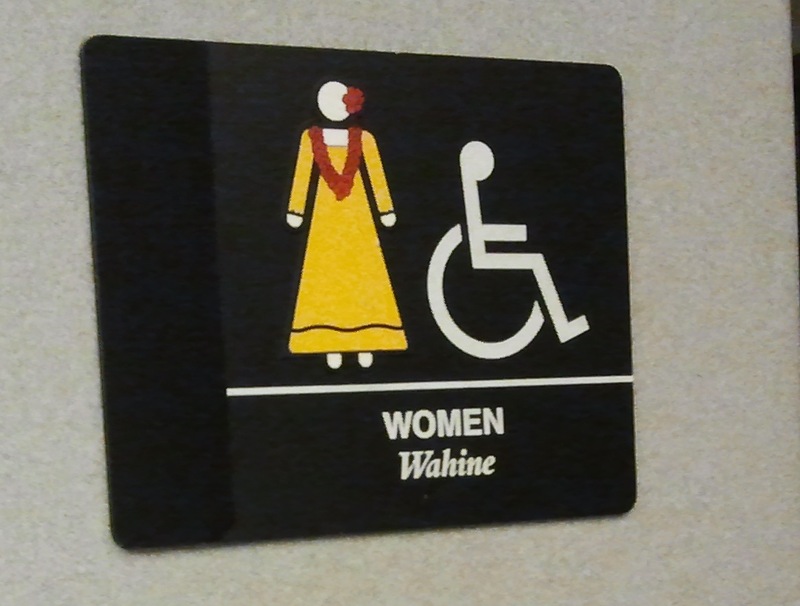 I am posting this from Oahu, Hawaii, where locals really do say “Aloha!” In fact, nearly all the stereotypes about Hawaii that have leapt the waves of the Pacific and reached the mainland are validated within the first hour of my arrival – people wear leis and flowers, men wear Hawaiian shirts, floral and island print clothing abounds, flip-flops (“slippahs”) are ubiquitous. I came without my daughters. In the past year I have flown no less than six times as a lone adult with two toddlers. This time I drew no looks of sympathy for my “situation.” I’m sure I was hardly noticed. But, I must say, it took some hours for me to adjust my mind-set. I am flying alone! Here’s a quick sketch I made while waiting for my flight, thinking of what it’s like to fly with two toddlers ages one and two-and-a-half. 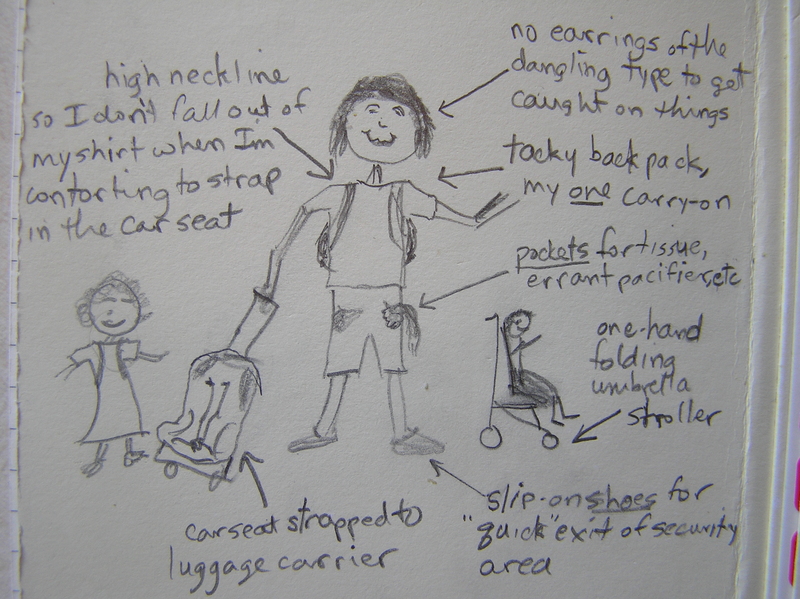 Then I drew a sketch of what I imaged I looked like traveling alone. 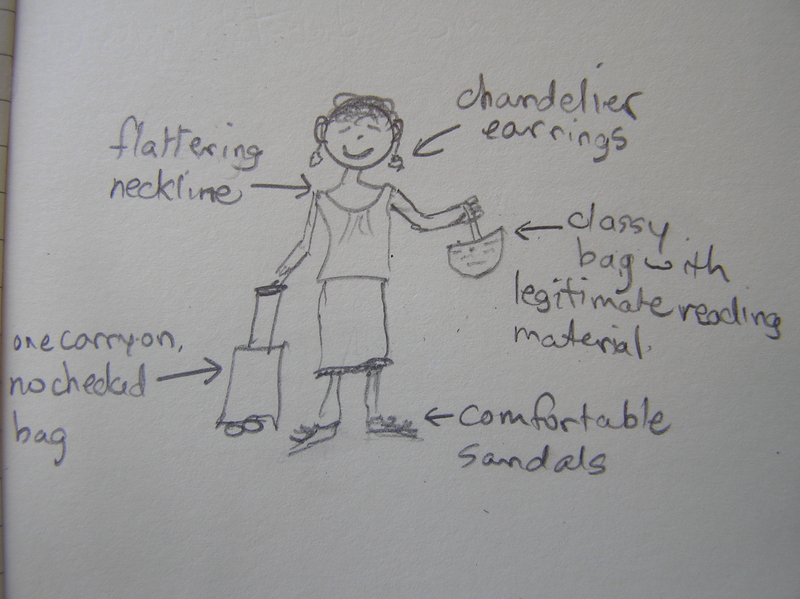 Except in the rush to pack and leave the house I forgot my chandelier earrings. . . wait, I don’t own any at this stage of motherhood. It’s a thought though. There are some things I hadn’t realized about this state before this visit. The Japanese love Hawaii. Japan contributes the largest number of international visitors to Hawaii. 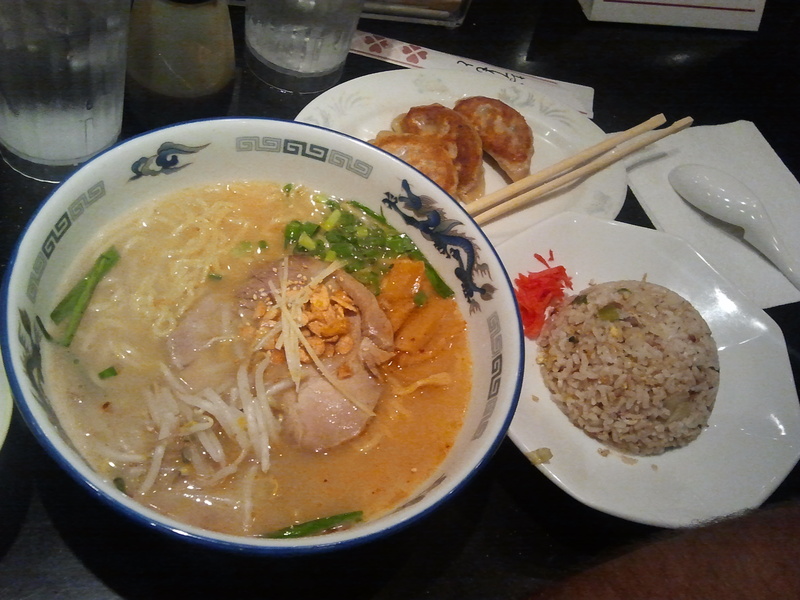 We stopped for dinner at a local ramen joint. They don’t accept debit or credit cards, but they do accept dollars and Yen. And the menu is in English and Japanese. 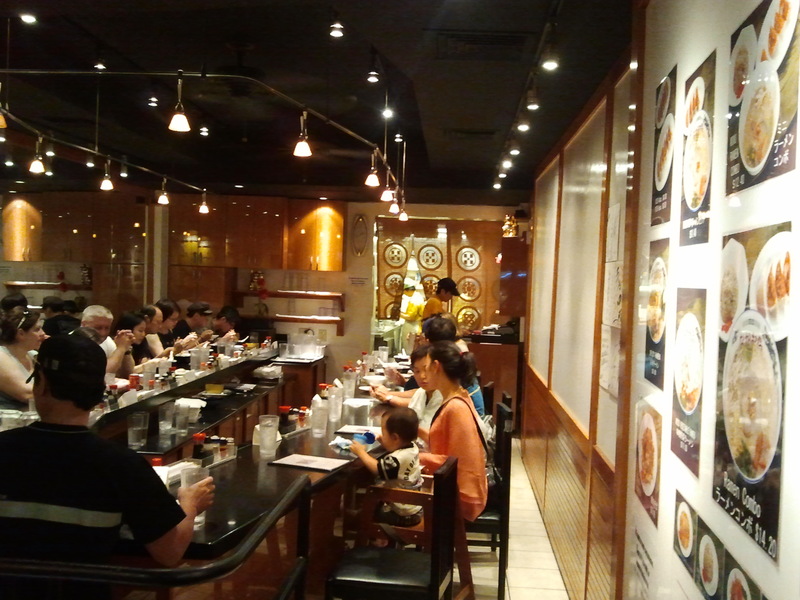 And the people eating inside were Japanese. And the staff were Japanese. I think the bowls were made in Japan too. Down the street an Italian restaurant was advertising for a wait staff position – preferably someone who speaks English and Japanese. 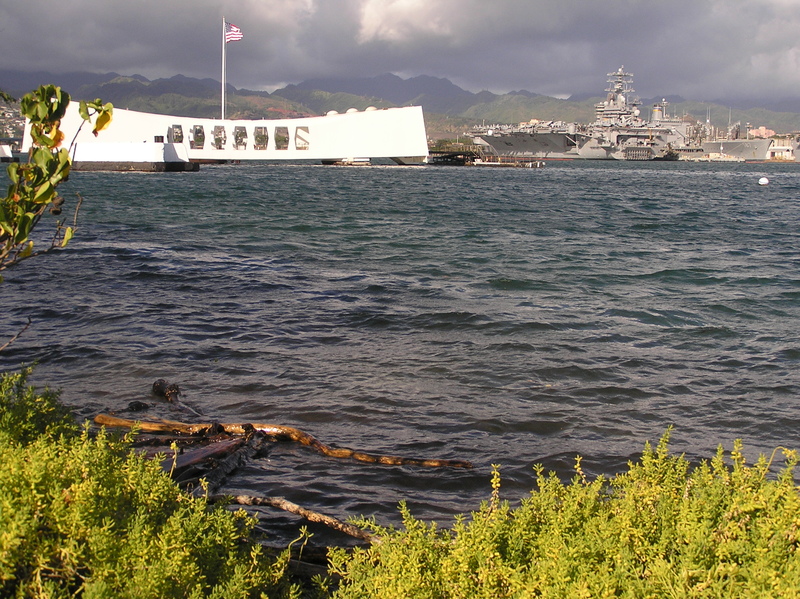 My final note on Hawaii on this United States Independence Day week relates to the USS Arizona memorial. Thousands of visitors, including Japanese tourists, visit the memorial in Pearl Harbor every year. The memory of those events is still very alive here. On a clear day in 1941 over a thousand sailors paid the ultimate sacrifice and were buried just a few feet under the clear blue water, now permanently encased in the rusting war ship. 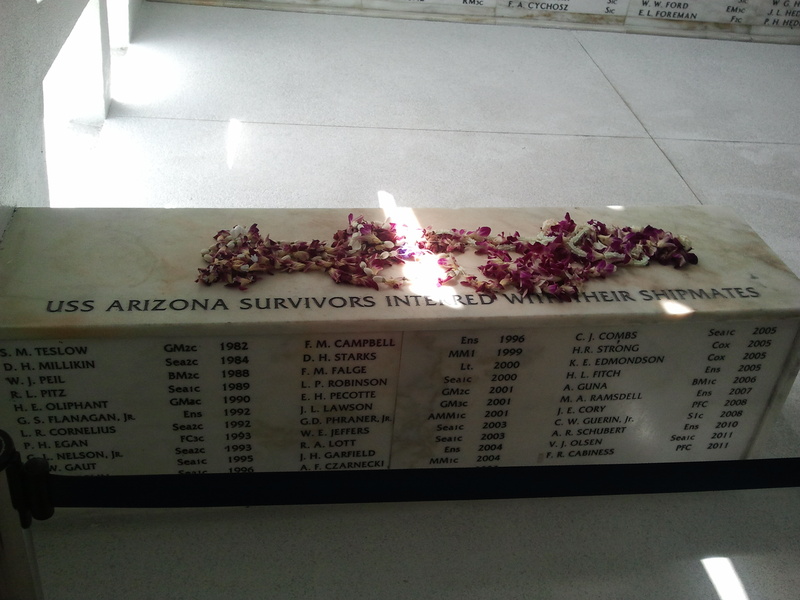 But other sailors on the USS Arizona survived. As they passed away over the following decades, their final request was to be buried with their shipmates. This photo, taken by my husband, brought tears to my eyes. hahahaha, I LOVE the sketches! I’ve been a bit busy lately but I did just take some time to read through your blog post and loved it. I’m sure you miss your little girls terribly but I’m glad you got to spend some quality time with your honeybuns!